Cutex Nail Polish Remover - I always seem to have a bottle of this in my empties post. It's the one I always buy, not the best but it's pretty cheap in Asda. Liz Earle Skin Repair Moisturiser - This moisturiser has lasted forever! I bought a new pot at the end of June so I'd have another one on hand once this ran out. Fast forward like four months and it's only just ran out! The weight of the tube is really deceiving as it felt empty since June. 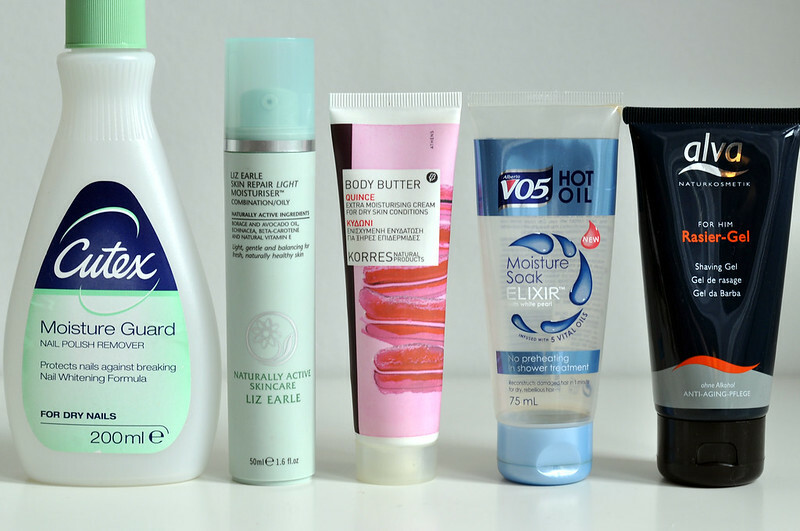 This is one of my favourite moisturisers and as I've already said, I've got a back up. Korres Quince Body Butter - This is one of my favourite body moisturisers and am really sad to see the tube empty. The scent is amazing and once I finish a few more moisturisers I'm going to buy this one again. It sinks into the skin so easily and keeps my skin soft for a long time. V05 Moisture Soak Elixir - I have no idea why there is so much hype around this product as I really hated it and was a chore to finish it up. I don't like the scent, I found it really soapy feeling despite being a "oil" and it didn't do a single thing to my hair. I definitely wont be buying another tube of this. Alva Shave Gel* - I really liked this shave gel but it doesn't beat Bluebeards Shave Cream for me so I wont be buying another one. Dr Bronners Magic All-One Soap - I wasn't a huge fan of this. It worked ok but nothing amazing. I have two others to use but I wouldn't buy full sizes. 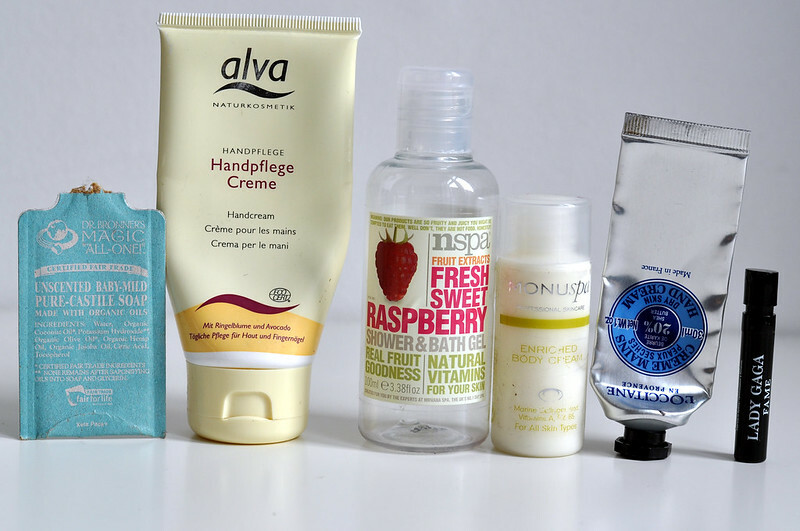 Alva Hand Cream* - This is another nice hand cream but doesn't beat some of my favourites. I also wasn't a huge fan of the tea tree scent in a hand cream. Nspa Raspberry Shower Gel - I really liked this shower gel and it worked great as a bubble bath. For some reason though my Asda doesn't sell the full sized bottle of this scent, only the little travel size. If I ever see the full size then I'll buy it . Monuspa Body Cream - This was an ok body moisturiser but I wasn't a fan of the scent and I also found it really hard to get out of the tube. L'Occitane Hand Cream - This is one of my favourite hand creams although I wouldn't go for this scent again. There are others that I prefer and already have as back ups. Lady Gaga Perfume - I really like this scent and will be buying the full size at some point. I liked the Vo5 oil - didnt think it was AMAzing & would try something else next time but it did leave my hair glossy.